I had a chance to meet Sara and Brandon Swinehart at a recent corporate event we worked together at Rosedale Bar in OTR. This locally owned branding company is the only woman owned full service, socially responsible branding company in the US. 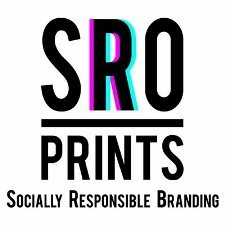 SRO seeks to positively impact the community by employing at risk adults recovering from drug addiction and they make a fine product! In 11 years of renting photo booths, this was the FIRST time I had seen on site t-shirt screen printing. People were getting their t-shirts faster than their drinks at the bar, in a few minutes. Crazy! This is a GREAT idea for your next corporate gathering, birthday party, or mitzvah! Click on their logo above to visit the web site or reach out by calling 865.604.0420.